The FBI and the U.S. Postal Service are now investigating Jussie Smollett as the potential sender of hate mail he received. The Federal Bureau of Investigation and the U.S. 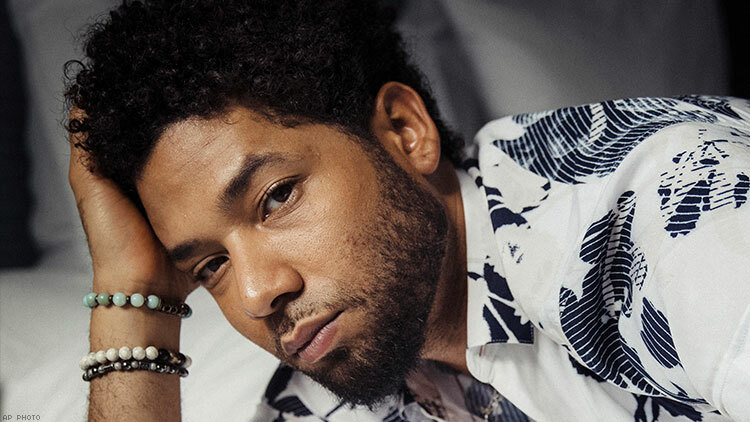 Postal Inspection Service have expanded their investigation into hate mail received by Jussie Smollett to include the actor himself. Smollett, who reported an alleged hate crime on January 29, has recently become a subject in the investigations swarming around him as the story continues to receive massive national attention. Two federal officials confirmed this most recent change in the investigation scope with ABC News on Tuesday. No one has been charged in connection with the incident and police are still actively asking to re-interview Smollett. The letter first arrived at Fox Studios in Chicago on January 22 before the now well-known reported incident a week later. It portrayed a stick-man being shot by a gun with hate language directed at the actor. Substances were found in the envelope but were confirmed to be powdered Tylenol and an unknown protein substance by detectives. Brothers Olabinjo and Abimbola Osundairo, the two men who were picked up and released after giving local police new evidence into the investigation, have told investigators that Smollett paid them to help orchestrate the incident. They also stated the motive behind the incident was connected to the letters in question not garnering any attention by local or national media once received, according to sources interviewed by ABC News. During a police raid of the brother's home, a magazine was recovered as evidence by police, according to inventory sheet reviewed by The Advocate. Earlier in the day, the Associated Press confirmed with Chicago police that they are investigating a tip that Smollett was seen with the two brothers at his apartment just hours before the attack. This was confirmed as unfounded after police interviewed the witness. "CPD has confirmed that a tip this morning about a sighting at the residential towers of individuals involved in this alleged incident is unfounded as it was not supported by video evidence obtained by detectives," a Chicago spokesperon informed reporters by the afternoon. Smollett was not able to be reached for comment on any of these matters at the time of reporting.